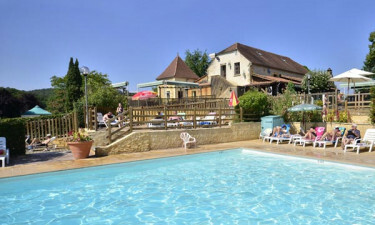 Les Grottes de Roffy Campsite is a leading site that can be found in the historical and picturesque Dordogne region of France. People who want to enjoy a relaxing camping holiday can hire a mobile home at Les Grottes de Roffy Campsite and will soon discover that the site provides everything they could possibly need right at their fingertips. Contact LUX-camp for more information. What Makes Les Grottes de Roffy Campsite So Special? Good washing and laundry facilities. This charming luxury camping site is situated on one bank of the gently flowing river and this is the perfect place to unwind in style. Water sports enthusiasts are sure to love staying in a luxury mobile home here and some of the activities that are just waiting to be tried including kayaking and canoeing, while there are several great fishing spots along the river. Guests can also keep cool by taking a dip at the outside swimming pool, which is surrounded by sun loungers. A wide range of services and facilities are provided at Les Grottes de Roffy Campsite to make sure that people of all ages experience the camping holiday of a lifetime. The large onsite children’s playground is the perfect place for the kids to let off a little steam and run wild, while large lawns and other grassy areas make ideal settings for games such as tennis and football and equipment hire is readily available to guests as well as other types of recreational equipment. The unspoiled natural beauty of the Dordogne region is reflected in the large lawns and winding paths of Les Grottes de Roffy Campsite. Naturally, guests will want to soend plenty of time walking around the site. The charming town of Sarlat can be reached in just a few minutes from the site and this makes the perfect daytrip destination. The excellent onsite restaurant serves a range of traditional and modern French dishes and specialities include chicken breast with foie grass and dried fruit, duck confit and a delicious strawberry dessert, all of which can be enjoyed on the pretty outside patio area. Relaxing after dinner in the cosy onsite pub is an experience that lovers of luxury camping will not want to miss and this is a good place to sample some of the region’s famous wine, spirits and beers is a relaxed setting. People who rent a mobile home here will have plenty of opportunities to prepare meals and light bites for their family in the comfort of their accommodation. 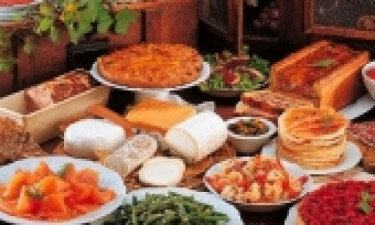 Putting together a picnic to enjoy beside the river is also very easy and guests will find a good range of fresh bread and other ingredients at the onsite supermarket, while this is also a good place to pick up toiletries, reading material and much more.